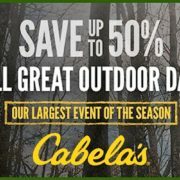 GET READY FOR CABELA’S 2016 FALL GREAT OUTDOOR DAYS! If you’ve been counting down the days for fall hunting season, you’ve come to the right place! 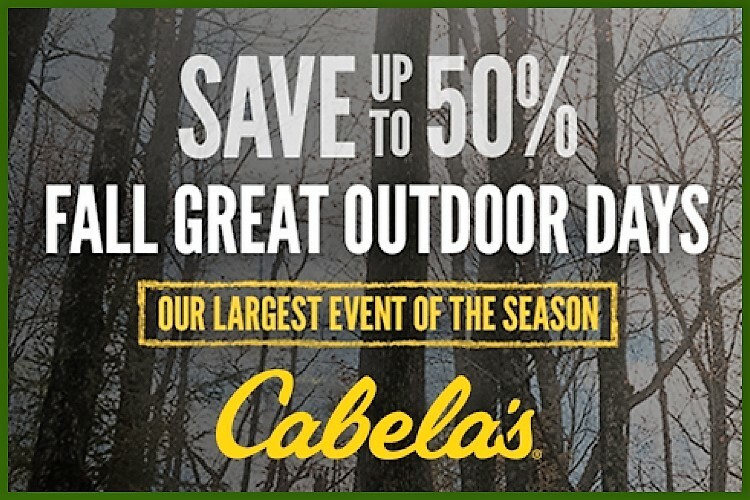 Starting August 25, 2016,Cabela’s Fall Great Outdoor Days will offer unbeatable savings on all your needs for the upcoming hunting season. Shop new game cameras, game feeders, optics, firearms, ammo and other hunting gear as well as equipment for your hunting camp such as tents, coolers and camp furniture. If it’s new shooting gear you’re after, be sure to check out the latest in eye and ear protection, targets and more for you to enjoy at the shooting range. Fall Great Outdoor Days is also hosting demonstrations and seminars at your local Cabela’s retail store. Cabela’s wants to make sure you’re getting the most out of everything fall has to offer, so mark your calendars for Fall Great Outdoor Days to experience savings on everything you could need for fall!